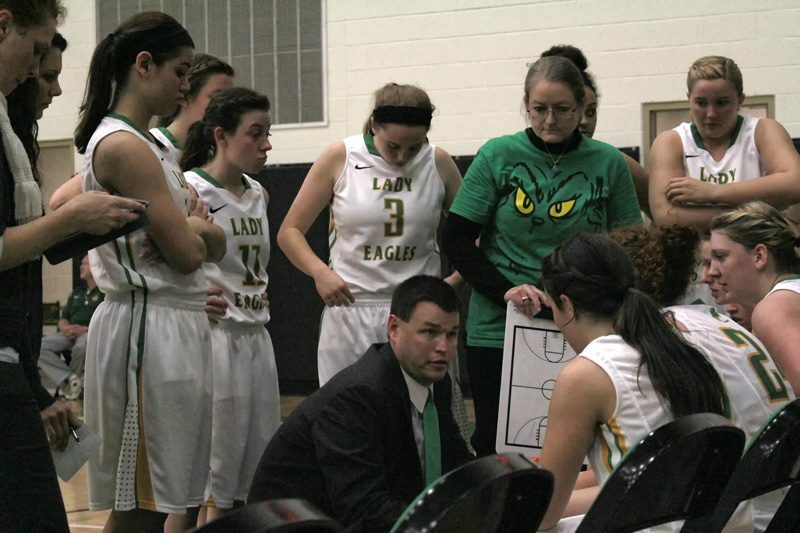 Lady Eagles improve to 12-4 for the season in final holiday tournament game. We got off to a slow start and I’m proud of our girls for battling through early struggles and maintaining focus and composure. The SCORE International Hixson Wildcat Invitational Tournament hosted at Hixson High School offered the Lady Eagles a venue to showcase their talent. This was the second tournament over the holidays to give the Lady Eagles an opportunity to see a variety of looks from opposing team’s respective offenses and defenses. This experience should serve our girls well as they enter a gauntlet of district games in the backstretch of the season. The Fort Payne Wildcats came out swinging to start the game with a the first quarter ending with a 10-5, lead over Rhea County. Despite missing key player Julie Brown to the flu, Head Coach Shane Johnston settled his team to do what they do best for the remainder of the game. The second quarter netted a huge turnaround for the Lady Eagles as they scored 26 points and went to the locker room with a 31-23 advantage at the half. Lady Eagles continued to perform well in the second half and secured the win, 73-53. In addition to a great team defensive effort, Rhea County scoring was led by Amber Levi with 18 pts (two 3pt FG), followed by Jessee Wallis with 15 pts, Madison Rader with 10 pts (two 3pt FG), Katie Loden with 10 pts, Kenzie Freeman with 7 pts (one 3pt FG), Megan Revis with 6 pts (two 3pt FG), Shelby Thurman with 4 pts, Tyra McClendon 2 pts, and Kelsey Miles with 1 pt. Amber Levi and Jessee Wallis were also awarded – All Tournament Awards and Honors.